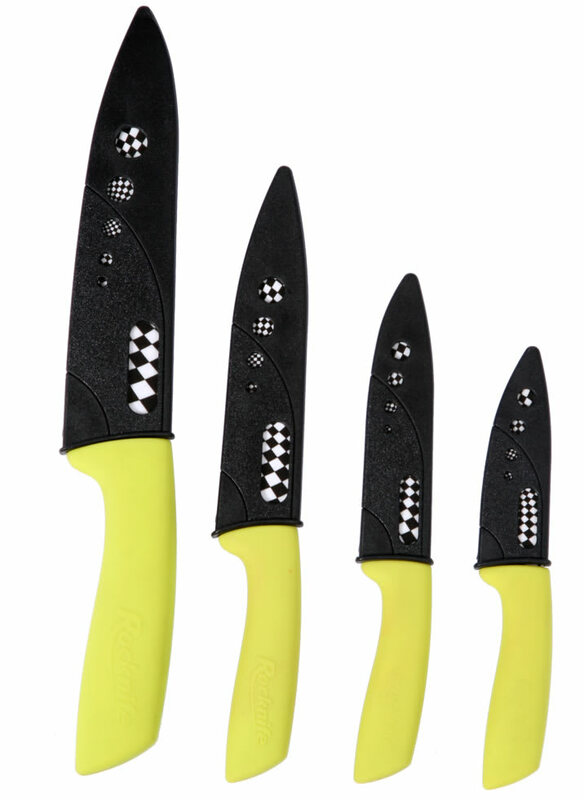 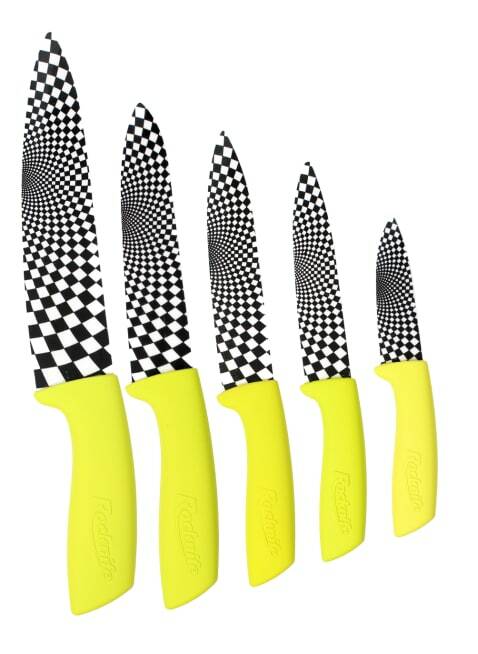 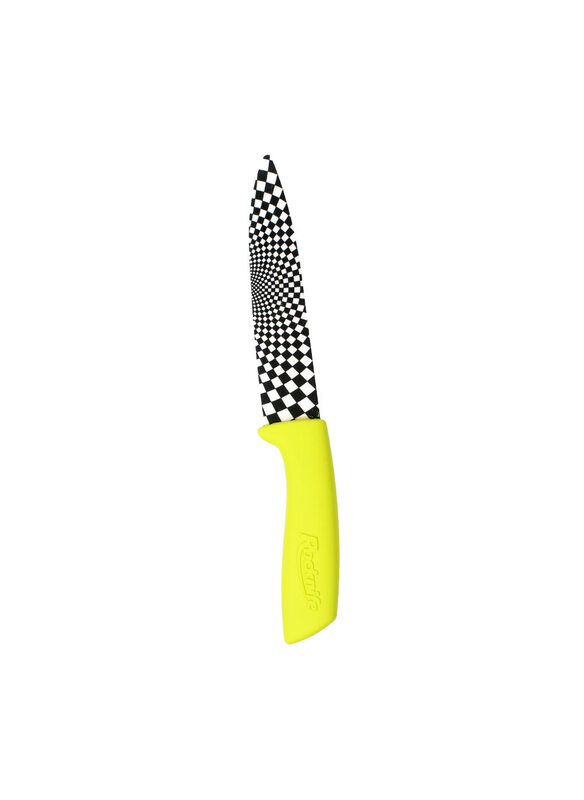 What a difference a bit of colour makes to a design, these gorgeous Lime Green handled kitchen knifes, with the black and white chequered zirconium oxide blades are super stylish and you won't be able to stop your friends wanting to know where they came from. 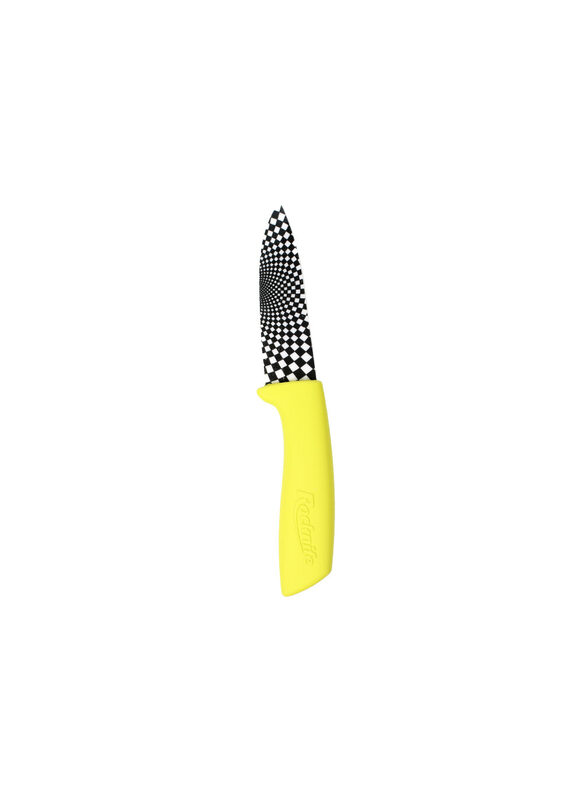 All our knives come with a protective cover for storage and safety, they are seriously sharp and have been hardened using a 400 ton press, each knife is individually tested for sharpness and quality. 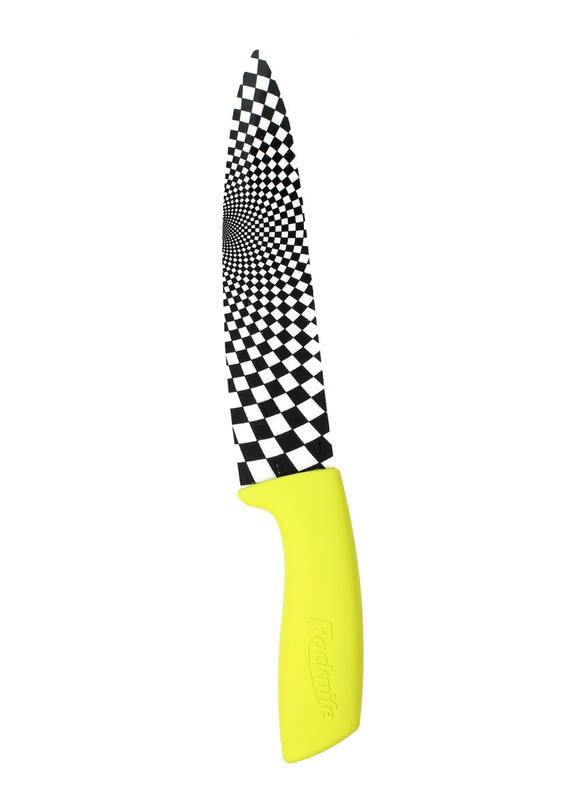 Tomatoes can be sliced into the thinest slivers, Courgettes into chunks, the 3 inch ceramic knife is perfect for herbs, the 4 inch paring knife is idea for fruit, apples, lemons, kiwis and so on, while the 5 inch professional filleting knife will slice chicken, pork or beef making all your food preparation easy and efficient. 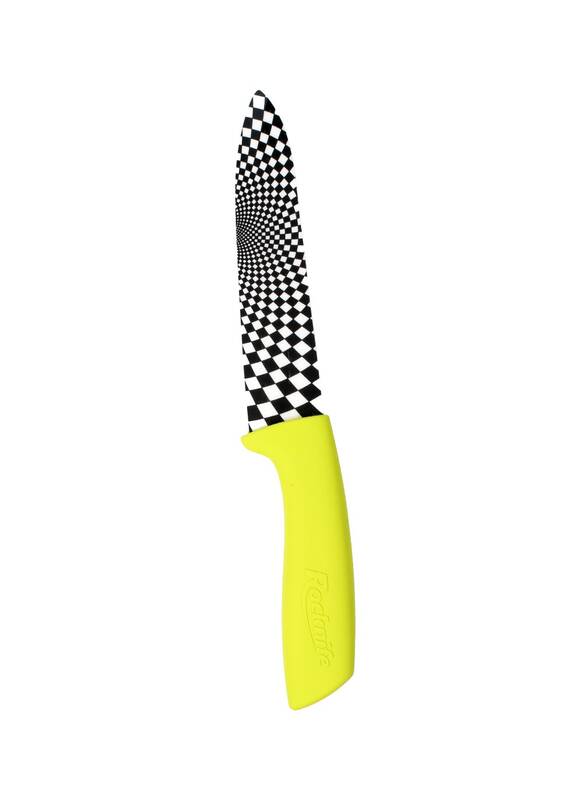 The 6 inch Chef's Knife is a general purpose all rounder, in extensive research we have found that most cooks prefer to be able to grab their favourite kitchen knife and this 6 inch Chef's Knife never fails. 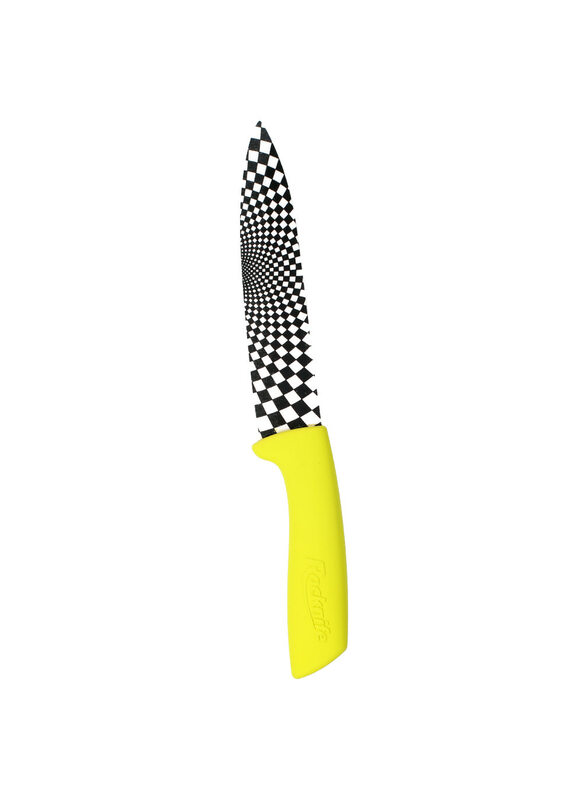 New - and now we'd like to introduce our New 8 inch ceramic knife, it's quite simply bigger and better, extremely handy around the kitchen the 8" ceramic blade is ideal for large cabbages, tomatoes, melons, retaining excellent control due to the lightweight design, this 8" kitchen knife will soon become your firm favourite in the kitchen - Buy 2, I mean why not! 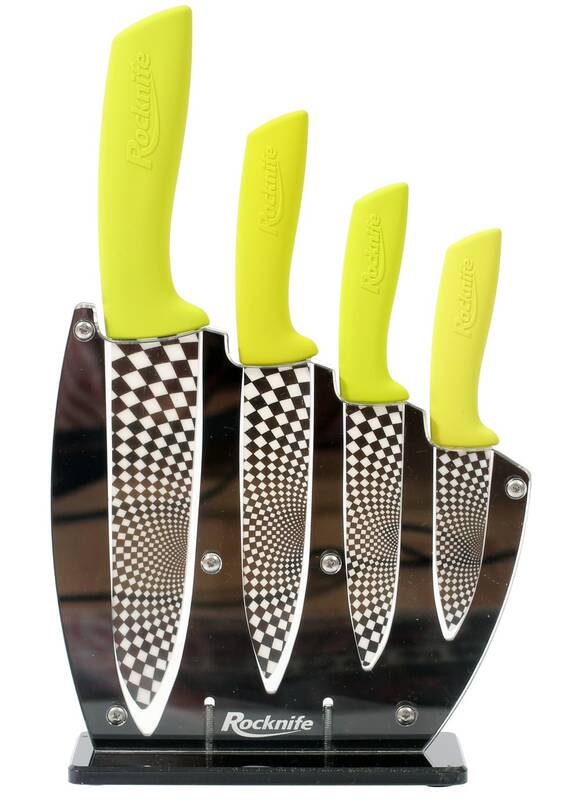 The stylish design will get all your friends talking as well and if you're bold we recommend getting the whole set complete with a stand which can be wall mounted or stand alone.